A popular style four bedroom detached home having been extended to provide versatile accommodation with two bedrooms to the ground floor and two to the first floor. 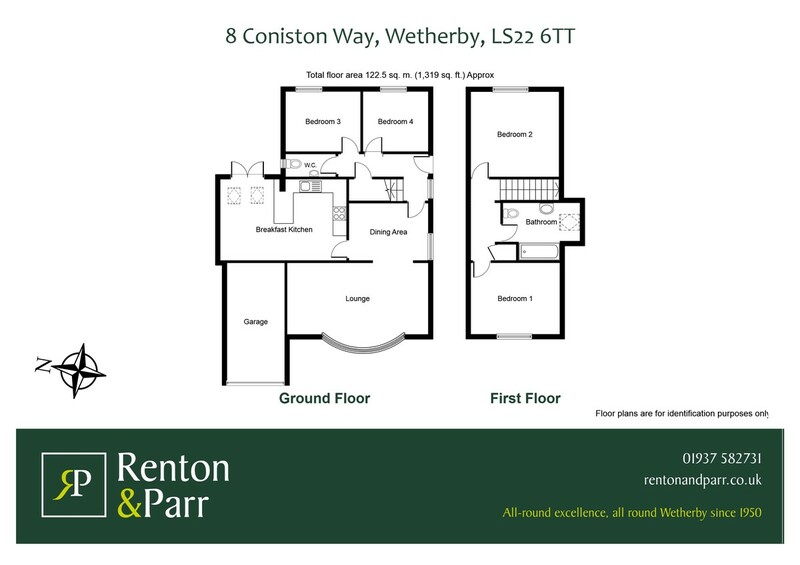 Quietly located in this highly desirable area of Wetherby just off Spofforth Hill. WETHERBY Wetherby is a West Yorkshire market town located on the banks of the River Wharfe and lies almost equidistant from Leeds, Harrogate and York. Local amenities include a range of shops, schooling, sporting amenities including indoor heated swimming pool, 18 hole golf course, tennis, squash, rugby, cricket and football teams. Commuting to major Yorkshire commercial centres is via a good local road network with the A1 and M1 link south of Aberford. DIRECTIONS From Wetherby town centre proceed along Westgate and up Spofforth Hill before turning left into Wentworth Gate. Take the second left turning into Manley Drive and first right down Buttermere Avenue. 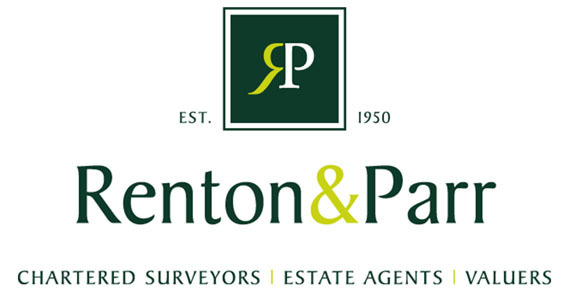 At the T junction, turn right into Grasmere Avenue and then right again into Coniston Way where the property is situated on the right hand side of the cul-de-sac identified by a Renton & Parr for sale board. HALLWAY With side entrance door and double glazed window to side, staircase to first floor with useful understairs storage cupboard, single radiator. LOUNGE 20' 6" x 10' 5" (6.25m x 3.18m) With double glazed bay window to front, double radiator beneath, modern electric fire with polished stone surround with matching mantle piece and hearth, T.V. aerial, additional radiator, decorative ceiling cornice. BREAKFAST KITCHEN 18' 4" x 11' 8" (5.59m x 3.56m) Extended to the side creating a light and spacious room, kitchen area fitted with a range of modern wall and base units, cupboards and drawers, glass fronted display cabinets, integrated appliances including cooker with four ring gas hob and extractor hood above, stainless steel sink unit with mixer tap, tiled splashbacks, pelmet downlighting, space and plumbing for automatic washing machine and fridge. Laminated work surfaces and peninsular with matching worktops and overhang creating breakfast bar, ceiling spotlights, two Velux windows, double UPVC patio doors leading out to rear garden. BEDROOM FOUR 9' 6" x 8' 9" (2.9m x 2.67m) With double glazed window to rear, radiator beneath, currently used as a home office with telephone point. BEDROOM THREE 10' 9" x 8' 9" (3.28m x 2.67m) With double glazed window to rear, radiator beneath. DOWNSTAIRS W.C. A white suite comprising low flush w.c., vanity wash basin with cupboards beneath, tiled splashback, double glazed window to side, single radiator. LANDING AREA With eaves storage along with loft access hatch, airing cupboard. BEDROOM ONE 12' 10" x 10' 8" (3.91m x 3.25m) With double glazed window to front, radiator beneath, eaves storage to two sides, T.V. aerial. BEDROOM TWO 12' 10" x 12' 2" (3.91m x 3.71m) With double glazed window to rear, radiator beneath, eaves storage to two sides, T.V. aerial. Fitted wardrobes. HOUSE BATHROOM 10' 8" x 8' 9" (3.25m x 2.67m) Light and spacious, fitted with a white suite comprising low flush w.c., vanity wash basin, "P" shaped panelled bath with wall mounted shower above and fitted shower screen, part tiled walls, large Velux window to side, radiator beneath, shaver socket. GARDENS To the front, low maintenance in nature with stone flagged paving, gravelled areas and low maintenance borders, established bushes and hedging to the front affording a high degree of privacy. Handgate to the side serves access to rear garden which is laid mainly to lawn with raised border, stone flagged patio area creating a private area for outdoor entertaining with direct access off the kitchen/diner. A variety of mature and established trees provide a high degree of privacy. Hard standing area with garden shed, a further raised stone flagged patio with summer house, power laid on.